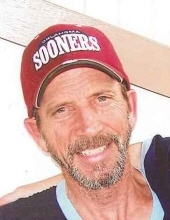 Michael W. Reeves "Mike" passed away September 17, 2014 at Clarehouse in Tulsa. Mike was born December 16, 1953 in Corpus Christi, Texas to Jerry and Phyllis Reeves. He graduated from Broken Arrow High School in 1972 and then attended TJC where he studied mainframe computers. Mike loved to hunt, fish, and barbeque. He was an avid Oklahoma Sooner fan. Mike's family will host a memorial cookout in his honor. The date and time will be announced soon.